Now is your chance to own this gorgeous home in the highly desirable lower Ferrini Heights neighborhood. No detail was left behind in this meticulously maintained home. The inviting open floor plan welcomes you into the heart of the home with two living areas, dining room and beautiful kitchen with a double oven and wine fridge. There are 4 bedrooms, 2 bathrooms, with the master boasting a recently updated bathroom and walk in closet. Located on a large corner lot, thereâs plenty of space to entertain in the lovely landscaped backyard complete with an outdoor fireplace, custom concrete and pavers and automatic irrigation. 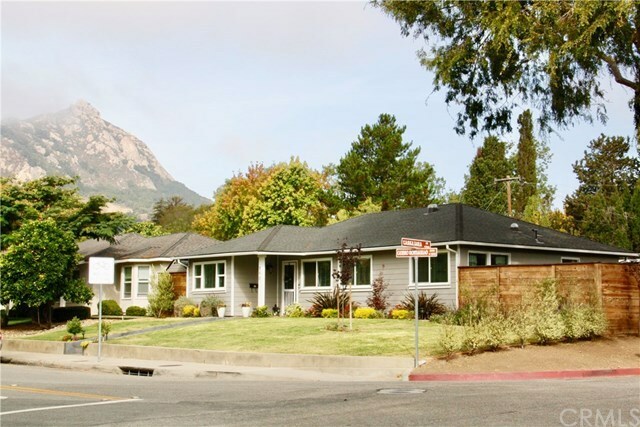 Within walking distance to highly sought after Pacheco & Bishops Peak Elementary schools, hiking trails, downtown SLO and Cal Poly. Indoor laundry, tankless water heater, carport with room for 2 vehicles, the amenities are endless! Directions: From Foothill, right on Tassajara. Property is on the corner of Cerro Romauldo and Tassajara.